“In Ezekiel 23, God describes the sin of his people as prostitution (fourteen times) and adultery (five times). Our problem is that we don’t see sin like that. If we saw our worldliness as spiritual prostitution, perhaps we would do something about it. We regard prostitution as something vile and degrading, and we would be appalled if our daughter became a prostitute—yet that is how God sees our pride, anger and gossip. Our sin should shame us but, instead, we pamper it, encourage it, feed it and generally get on very well with it. We can more than tolerate it, but God cannot tolerate it and never will tolerate it. There is a difference between prostitution and adultery. Prostitution is selling your most precious possession to anyone willing to pay the price. There is no lasting or serious relationship involved—it is casual and temporary. Neither is love involved, only a desire for financial gain. This gain is so highly valued that the prostitute is prepared to sell her body to achieve it. Adultery, however, is giving yourself to someone who has no right to you. It implies a deep relationship with a lover, and a dissatisfaction with one’s legitimate marriage partner. It is a denial of all past promises and allegiances, and will involve lies and cover up. How does this work out in spiritual terms? Prostitution is the equivalent of worldliness and carnality. It may be seen in the Christian whose relationship with God is shallow. There is no commitment and he or she easily goes off after other pleasures. Adultery, however, is the rejection of a true and deep love. It is dissatisfaction with God and looks elsewhere for that which only God can legitimately supply. It is only possible when there is no enjoyment of God. Throughout Scripture, God regards himself as bound to his people in the same way as a husband is bound to his wife. Therefore, any sin which causes a Christian to lose his or her love for God is seen as a breaking of the marriage vows. It is spiritual adultery. Perhaps the most vivid illustration of this is seen in the life of Hosea the prophet. 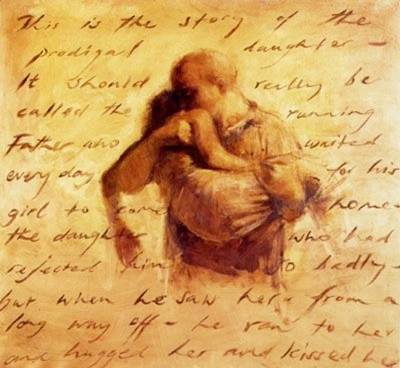 The book of Hosea is remarkable because the prophet’s message is lived out in his own domestic life. Hosea is told by God to marry a prostitute (Hosea 1:2). He marries Gomer but then she leaves him and goes back to her lovers and to her prostitution. She sinks so low in the moral cesspool that she is finally sold into slavery. All this time Hosea’s love for Gomer does not waver—he even goes to the slave market and buys her back (Hosea 3:2). It is a remarkable story but its spiritual purpose is to show God’s love and grace for his people. The picture is that Israel has been like an unfaithful wife to God (Hosea 4:15). Here is an illustration of God and his church in our day. Gomer has left Hosea—and we as sinners have turned away from God. All efforts to restore and reconcile seem to have failed. There is a threat of judgement (Hosea 2:4–6) and the withdrawal of divine blessing (vv. 8–9), but then in verse 14 there is a turning point and, from then on, light and hope begin to shine. Divine love works to allure the sinner back to himself. Jeffery, P. (2004). Opening up Ezekiel’s Visions. Opening Up Commentary (85–87). Leominster: Day One Publications. Excellent post, excellent and sobering truth from a wonderfully godly sister in Christ…enjoy! Thank you for sharing this and you and Steven have a blessed Lord’s day tomorrow my dear friend. What a powerful post to share. Indeed, God loves us so much that He sent His beloved Son to pay a debt we could never pay. His forgiveness is beyond our comprehension. Oh what wondrous love He has for us. How thankful I am for His amazing grace! Thank you Christina!